The Eye See…Eye Learn® program encourages parents to book a comprehensive eye exam for their junior kindergarten child with a local, participating optometrist. The eye exam is covered by OHIP. Dr. Yew at our Ajax location is a participating optometrist! If a child needs glasses, they will receive a complimentary pair donated by Nikon Lenswear, OGI and the participating optometrist. The estimated value of the glasses is over $250. 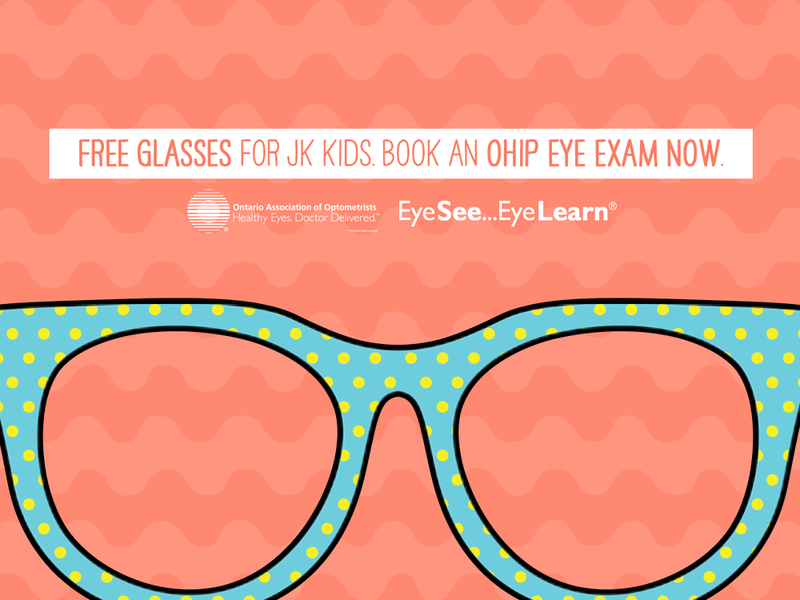 Simply book and have your child’s Eye See…Eye Learn® exam by June 30, 2018. Bring your child’s health card with you on the day of the exam. It's that easy! Children who require a pair of glasses will receive one complementary pair courtesy of our corporate partners Nikon Lenswear and OGI Eyewear. The frames are fashionable and are made with high quality and impact resistant polycarbonate lenses.